While thumbing through German renewables magazine, Sonne Wind&Wärme, a table jumped out at me. The table confirmed that the Silent Wind Revolution that French renewables expert Bernard Chabot first noticed several years ago is continuing. 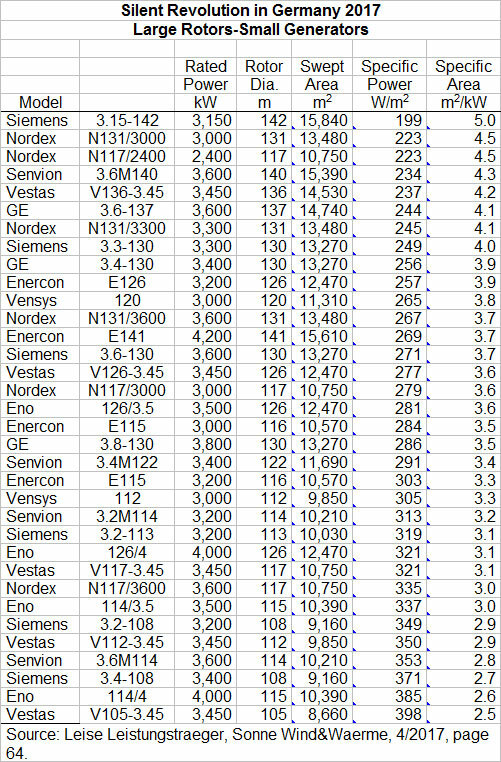 The table listed the wind turbines on the German market and provided not just their power rating but also their rotor diameter, swept area, and Specific Power in W/m². This is typically German. They cut right to the heart of the matter: power relative to swept area. And this is what Chabot, DEWI’s Jens-Peter Molly, and I have been harping on for years—if not decades. 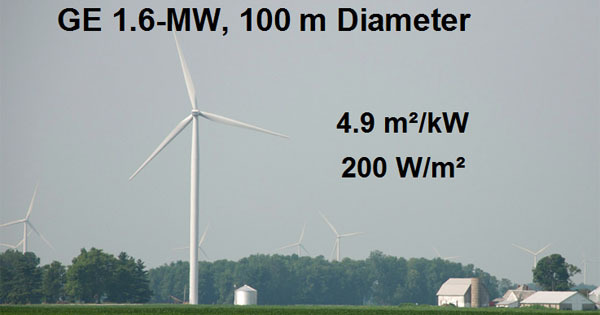 Chabot calls this Wind’s Silent Revolution: Wind turbines with large rotors driving relatively small generators. In Wind Energy for the Rest of Us I devote an entire chapter to the advent of these very large diameter wind turbines. It’s not VAWTs, DAWTs, or other flashy new inventions that’s revolutionizing wind energy. It’s boring refinements of existing technology that’s making wind energy more economical in more places than ever before. The exciting story behind these new wind turbines is that they are both more cost effective and also better able to use scarce transmission capacity. These new wind turbines are easier to integrate into the existing grid than those of only a few years ago. My book Wind Energy is the first book on wind energy for a lay audience to explain how, with these new turbines, storage isn’t as necessary as it once might have been. Thus, modern wind turbines can provide much higher penetrations—a higher percentage of supply—than ever before thought possible. These new turbines also make more land area suitable for wind energy, greatly expanding its potential near urban areas where people live. In combination with other sources of renewable energy, these new wind turbines allow engineers and policy makers to begin considering how to design power systems with 100% renewable energy. Some are now even calling for systems for 200% or 300% renewable energy to offset fossil fuels in heating and transportation. 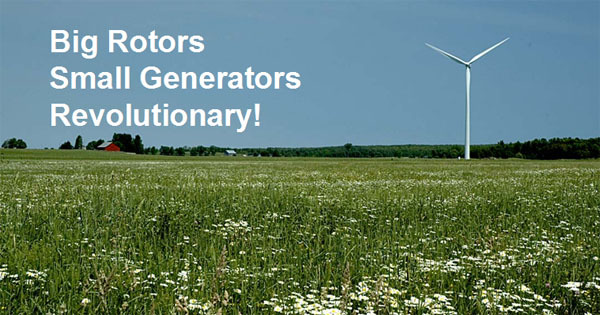 This, says Wind Energy, is revolutionary and why I and Monsieur Chabot call this a silent revolution. In late February I gave a presentation to the Distributed Wind Energy Association in Washington, DC on how the Silent Wind Revolution increases the opportunity for distributed wind. The table in Sonne Wind&Wärme confirms that this revolution is continuing in Germany in 2017. I am reproducing the table here. I’ve added another column for Specific Area in m²/kW and sorted the table by Specific Area. At the top of the list is Siemens 3 MW wind turbine with a huge 142 meter diameter rotor. This rotor sweeps nearly 16,000 m², giving the turbine a Specific Area of 5.0 m²/kW. The Specific Area of the Siemens model slightly exceeds the example I used in Wind Energy. The GE turbine I used in my book was an example from my home town of Alexandria, Indiana. There the GE turbines used a 100 meter diameter rotor to drive a 1.6 MW generator, giving the turbine a Specific Area of 4.9 m²/kW. Chabot would be proud. The revolution continues.